A South Bay student is behind bars for allegedly making a criminal threat against his school, according to the Santa Clara County Sheriff's Office. Students at Saratoga High School are in the midst of final exams, but now, along with graduation and summer plans, a classmate's arrest is on everyone's minds. The suspect’s name will not be released because he is not yet 18 years old, sheriff's officials said. Students say he is a senior. “I think he just wants attention,” said a student identified only as Matt. Matt said he noticed that the student -- who has since been arrested -- began dressing differently about two weeks ago. His clothing resembled that of Dylan Klebold and Eric Harris, who gunned down their classmates and teachers at Columbine High School in 1999, Matt said. A school resource officer on Monday arrested the student after several school-goers reported hearing him say he intended to cause violence on campus during finals week. 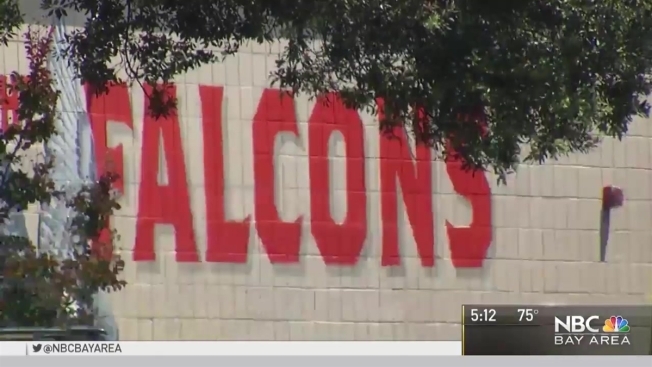 School administrators suspended him, but the exact nature of his threats remains unknown. "I was surprised. This school is not known at all for any violence," Matt said. In the meantime, security at Saratoga High School has been beefed up. Parents said they are happy to see Santa Clara County sheriff’s deputies conducting extra patrols at the Herriman Avenue campus. Investigators are also trying to figure out whether the student really planned to people at the school. “Students being safe is more important than anything else," parent Prashanthi Ravi said. Principal Paul Robinson sent an email to parents, alerting them of the goings-on. He also praised students who brought their classmates’ alleged threats to a teacher’s attention. NBC Bay Area has reached out to Robinson and Bob Mistele, the superintendent of the Los Gatos-Saratoga High School District, but have yet to hear back.